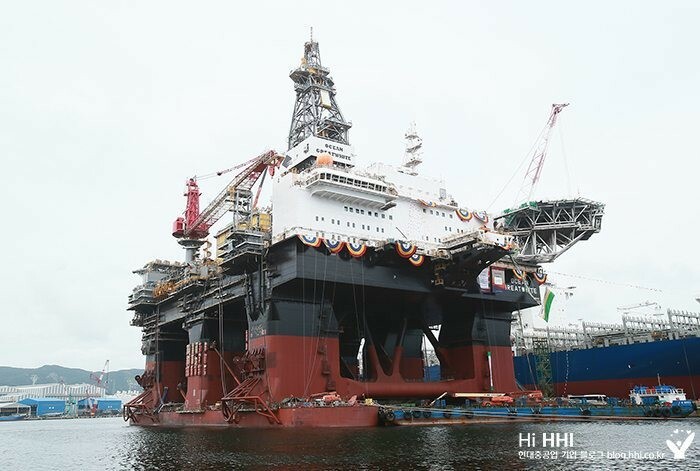 South Korean shipbuilder Hyundai Heavy Industries (HHI) says it has delivered the world’s largest semi-submersible drilling rig to Diamond Offshore. The rig, named Ocean Greatwhite, was delivered to the Houston-based drilling contractor on July 2015. 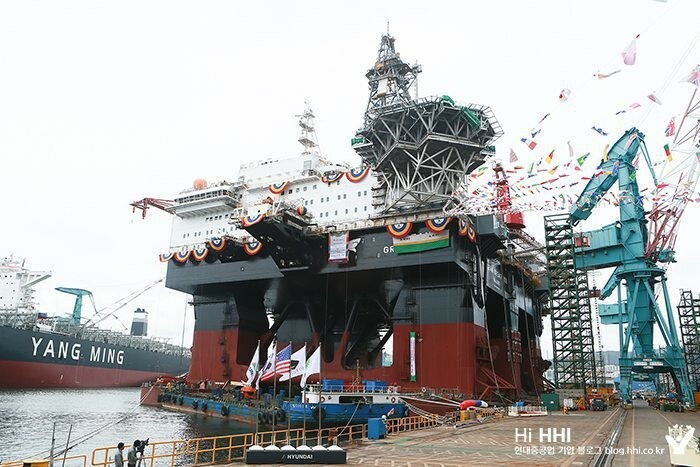 At 123 meters long by 78 meters wide, the semi-submersible is touted as the world’s largest semi-submersible drilling rig, according to HHI. Ocean Greatwhite is a Moss CS60E Design harsh environment semi-submersible capable of operating in waters up to 10,000 feet deep and a drilling depth of 35,000 feet from the surface. HHI won the order to build rig for Diamond Offshore in 2013 for a total contract value of $630 million. 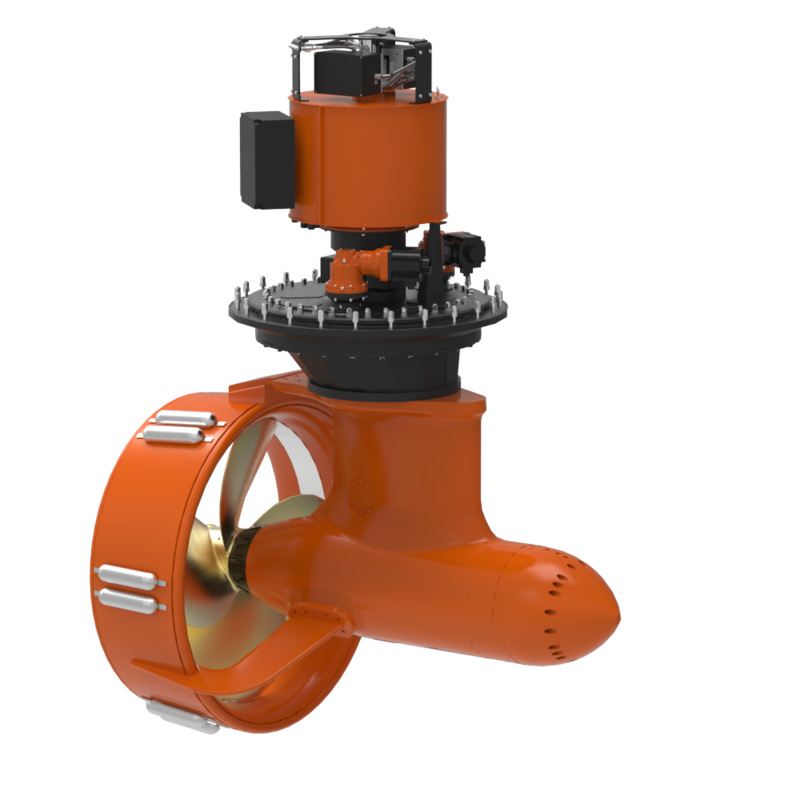 The Ocean Greatwhite is equipped with 8 Thrustmaster TH6000ML mechanical L-drive azimuthing thrusters. 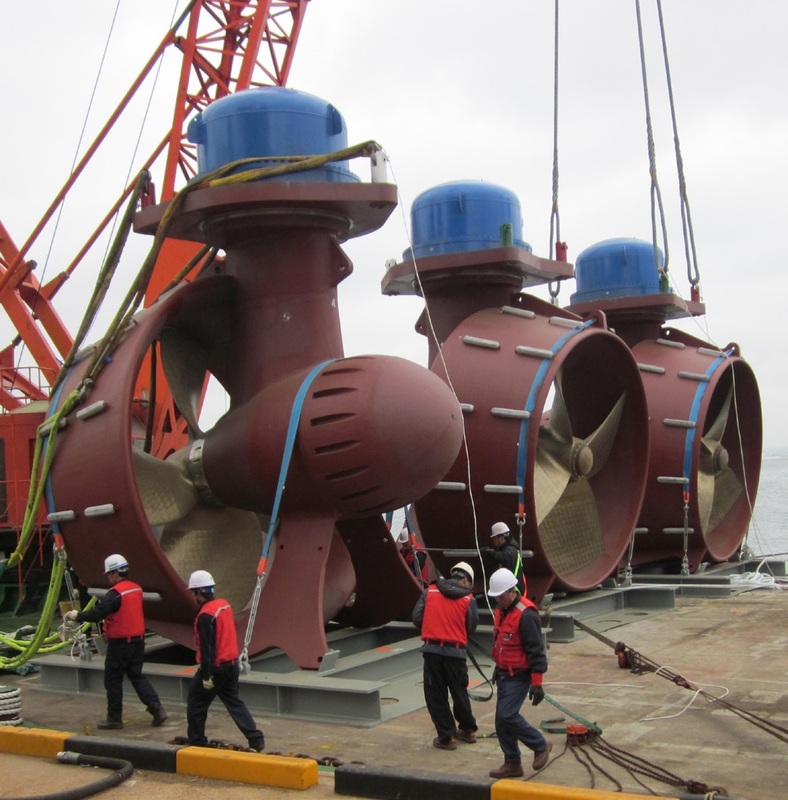 The thrusters are configured for underwater mounting and demounting. In addition to the Ocean Greatwhite, HHI has delivered four ultra-deepwater drillships to Diamond Offshore, all of which are equipped with Thrustmaster TH6000ML underwater mountable azimuthing thrusters. These four additional drillships are the Ocean Blackhawk, Ocean Blackhornet, Ocean Blackrhino, and Ocean Blacklion.